Calling all Twitter users! Whether you’re new to Twitter and you’re trying to build your follower base or you’re not-so-new to Twitter, if you’re wanting to increase your followers’ engagement, here are 5 simple tips you can use to build your follower foundation. Keep in mind, you can use these tips for your personal Twitter page or your business/brand’s Twitter page. Take advantage of all the opportunities Twitter provides to personalize your page and have it represent who you are, what you’re interested in, or what you’re looking for. The left side of your Twitter page should be your primary focus. There you can put photos, logos, or contact information. For bigger brands or public figures, validating your account is a good idea. Also, use the “about” section wisely and put together a to-the-point and effective bio. When followers can quickly get a sense of who you are and what you’re about, they’re more likely to follow you. Create conversation; don’t wait for the conversation to come to you. Your followers are a great resource for feedback and help. If you’re a brand, questions don’t have to necessarily be about your products or services– asking someone’s opinion and making it clear that it’s appreciated goes a long way. Be creative and make it fun! Re-tweeting (RT) and replying to tweets is an easy and effective way of acknowledging your followers and letting them know you find their tweets valuable and informative. But most of all, this lets them know you appreciate their following. However, make sure your re-tweets and replies are balanced. Creating conversation is important, but remember that you don’t want your Twitter feed to turn into a long list of “@reply” posts. If anything, this will decrease your number of followers, because most of them don’t have the patience to look through the conversation to find out what it’s all about. By posting relevant and informative information and links, followers will start to consider you as a good source of information and will find it worthwhile to engage with you. Putting some time and thought into a #FF post is worthwhile and a great form of engagement. It’s an easy way to give a shout-out to your favorite followers and let them know you acknowledge and like their tweets. It’s also a quick and effective way to make a recommendation to the rest of your followers on who to follow. What tips do you use to get the most out of your Twitter account? We’d love for you to share. 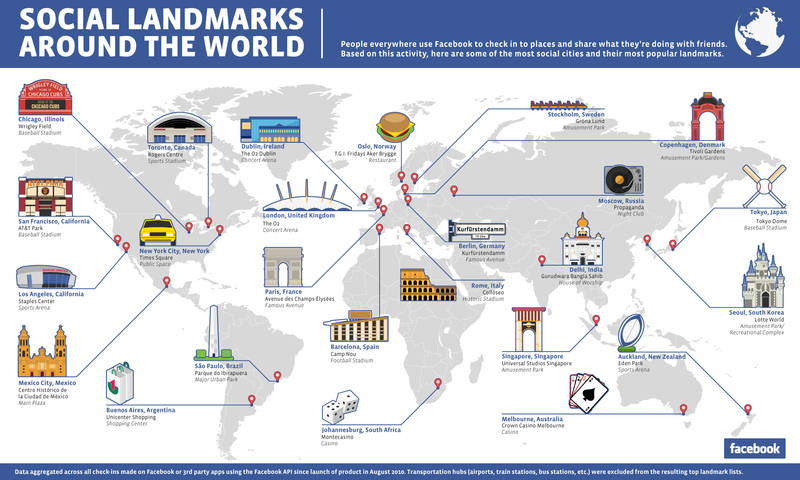 Facebook has collected data and measured check-ins made on Facebook in 25 cities worldwide to determine the world’s “most social landmarks”. -Shopping is popular internationally. Malls and outdoor markets appear within the top 10 landmarks for 19 0f 25 cities. -Cities with warmer climates had more check-ins to outdoor spots, while cooler climates had more activity in concert halls or bars. – In summer months, music festivals are top summer check-ins as well as sports venues. Below is a map of the most social landmarks around the world. 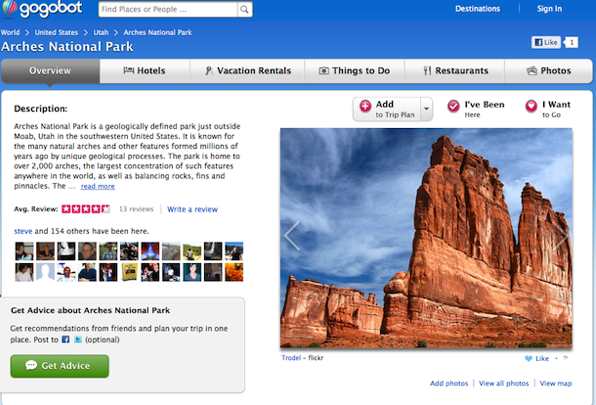 Have you ever checked-in to these most social landmarks in the United States? According to a new infographic map, Facebook shows a strong hold on traffic to various social sites worldwide. Vincenzo Cosenza, an Italian-based social media strategist, has studied the most popular social networks used across the globe and has put together a map to highlight the leading platforms. He posted his findings on his blog. Facebook, which has more than 845 monthly active users, is the top-used social networking site in 126 out of 137 countries analyzed, including the U.S., Canada, the U.K., Australia, Japan, Brazil, and India. Although Facebook has its roots in the U.S., with 222 million users, Europe is the continent with the most Facebook users, 232 million. However, Facebook is not the top player in Russia, China, Vietnam, and Latvia. “If we take a look over Facebook’s shoulders we can see the battle for the second position between Twitter and LinkedIn or, especially in Europe, between Badoo and Twitter,” Cosenza noted on his blog. What do you think? Do you think other social networking sites have the potential to pass Facebook in the future? If so, which sites in which regions? While a lot of recommendations look good, make sure your whole team or all of your co-workers don’t recommend each other. Recommendations like that add little value. It’s not very common, but you might want to delete some recommendations you have made. Go to the “recommendations you have made” link in your profile and withdraw it. You can also revise a recommendation here. When someone writes you a recommendation, you are given the option to return the favor. Don’t do it unless you feel comfortable recommending the person. Regardless, send the person a note saying thanks for the recommendation they wrote for you. 1) Facebook – The Coffee Shop. Fans see updates in real time so you can post about job openings, trade shows, etc. You can also create pages for job listings. 2) Twitter – The Speed Date. Include links to job postings. Can post several times a day. You can get conversations started here very easily. 3) Your Blog – The Open House. Your blog shows off your business’ personality and is a great venue for posting job openings. 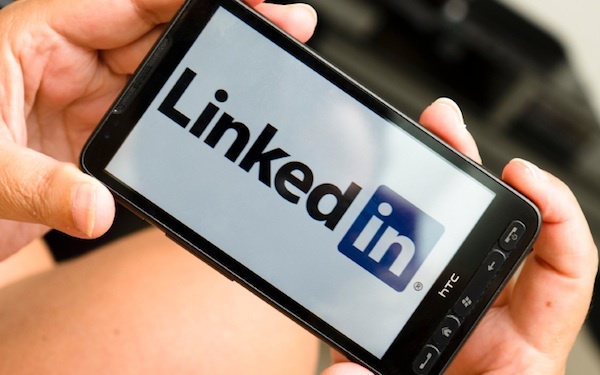 4) LinkedIn – The Networking Event. Users can follow your company page and you can post jobs inexpensively on your Career page. 5) YouTube – The Public Access Cable Channel. Videos can showcase your company so prospects can “meet” the people or place they will be working with/at. You can also create a recruiting “commercial”. For more information on recruiting through social media, click here. A recent study from a report by Wildfire Interactive looked at 10,000 random Facebook campaigns to see which got the highest response rates and earned media. 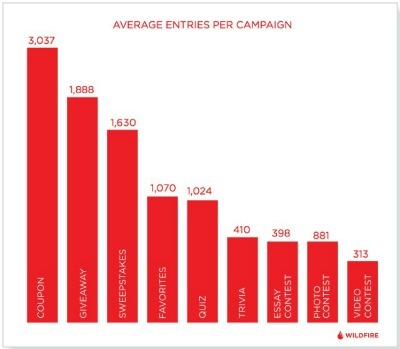 The first thing the study revealed is the lack of correlation between the two; campaigns that got the most earned media did not get the highest response rates. If the purpose of your campaign is to increase engagement among fans, offering coupons is the way to go. If you want fans to share the posts of your campaign, use “pick your favorite” queries, quizzes and trivia contests. The report touches on why some campaigns tend to be more sharable among fans. One reason could be questions allow the fan to discover more about his or her personality. Another reason could be the fan wants to show off among his or her friends: quizzes show the fan’s knowledge and “pick your favorites” allow the fan to share his or her opinions with others. This study shows broadly that coupons can increase engagement, while quizzes and contests can increase “shareability”. 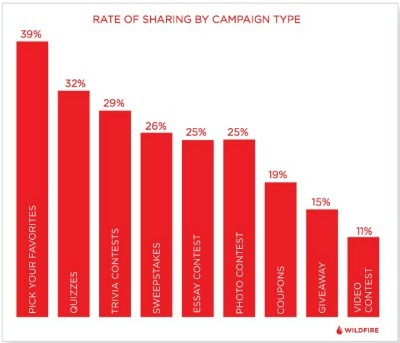 More specifically, this study shows that adding personality to campaigns and allowing fans to share his or her personality is the key to a successful Facebook campaign. A full version of Wildfire’s report is available here. If you want your brand’s social media presence to be viewed as authentic, you need to know what your brand stands for and know what is important to your audience. Above all, you must always be honest. 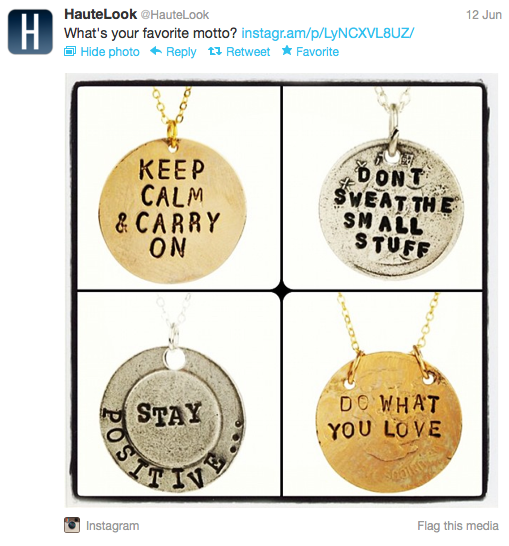 Here are three tips that will help your brand’s social media presence appear authentic. 1. Focus on the individual. Individuals are the most important asset to your brand when it comes to social media, because they provide a real human perspective on the web. When reaching out to your audience, remember your audience is made up of individuals. Try to steer clear of referring to them in the masses, which will take away your brand’s authentic feel. Your brand’s social media presence should remain a form of two-way communication. It’s important to constantly be aware of feedback given by your audience. You also need to be tuned in to what is important to your audience. This will allow you to provide content that your audience is asking for. Today, millennials can spot an inauthentic brand from miles away. Growing up with the Internet, they have high expectations of what brands should provide them. Millennials expect brands to reach out to them with a real voice, and they want a brand that promotes public engagement. Use these tips to create an authentic social media presence for your brand. Being authentic on social media sites can be the factor that puts your brand above others. The new Facebook timeline has caused a stir among Facebook users, especially users that are trying to build a brand for their business. Although it will take some getting used to, timeline has perks that are great for businesses. 1. Timeline encourages fresh and active content and conversation. Timeline now makes business pages look and feel more like personal pages. Instead of just acting as a landing page with default tabs, timeline highlights active content, which is the most effective way to drive new traffic to the store and to the page. 2. Timeline provides a richer opportunity for seller expression. 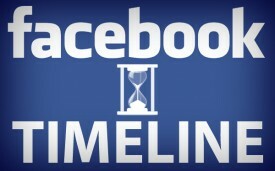 Timeline gives businesses more space to showcase their brand and products. The most obvious example of this is the cover photo. This is a great opportunity to draw new customers and engage current fans. Also, the old default tabs have been replaced with photos, which is more visually appealing to viewers. 3. Timeline offers deeper engagement insights, tools, and analytics. The old version of Facebook insights did not deliver users with real-time data. With timeline’s new insights, users can now track how a post is doing within five to ten minutes after posting. Other new tools include: people talking about engagements, friends of fans, reach, and virality. These insights provide users with more tracking tools and instant gratification from posts. As a business, we are getting used to the new timeline and are appreciating the new changes more and more. For more information on these benefits, check out Mashable’s article discussing reasons Facebook brand pages are good for businesses. In many popular social media and marketing blogs, the controversy of targeting online versus targeting local is a trending topic. This is a problem many companies face, and the answer can be difficult to find. What do the majority of bloggers say the answer is? A blend of both online and local. Chris Brogan, President of Human Business Works and an active blogger, says the most important thing he is studying about this issue is understanding how the Internet makes local work better. Creating a contact database is a start to blending. The online trust agents can direct companies to local heroes. There are people that have a job, online trust agents, and people who live to serve, local heroes. The majority of the time, connecting with local heroes will be the most helpful. How will companies continue to blend the online and local even more? How will companies help people understand what they offer? Path acts as an online journal that allows you to keep in touch with friends by posting pictures, travel updates, and the music you are listening to. 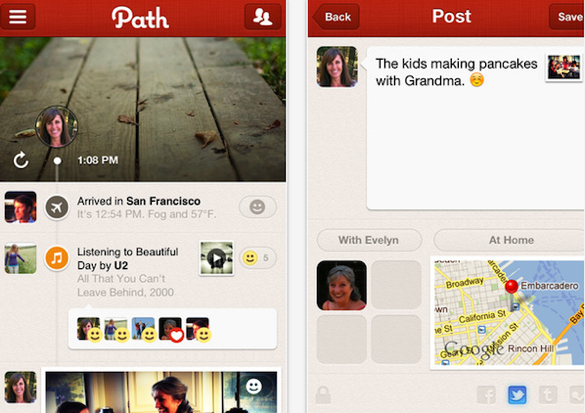 Path also allows you to share your updates on Facebook, Twitter, and Tumblr. 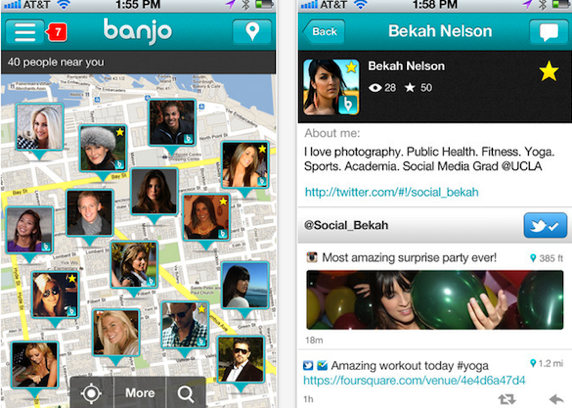 Banjo is a location-based tool that alerts you when friends are nearby. You can connect your Facebook, Twitter, Foursquare, and Instragram accounts, and Banjo will alert you when those connections are nearby as well. This tool also tells you about popular activities nearby. 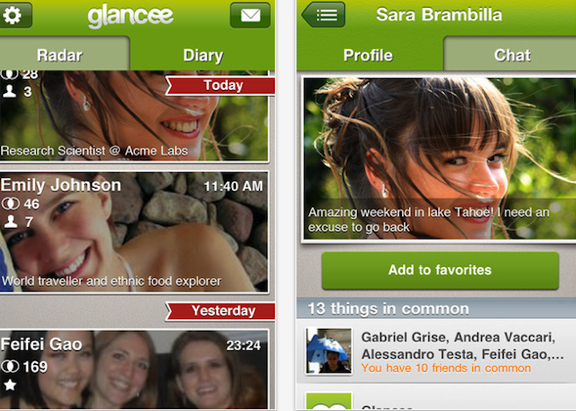 Glancee is also a location-based tool that helps you discover nearby friends. This tool also lets you keep notes about your encounters and events. 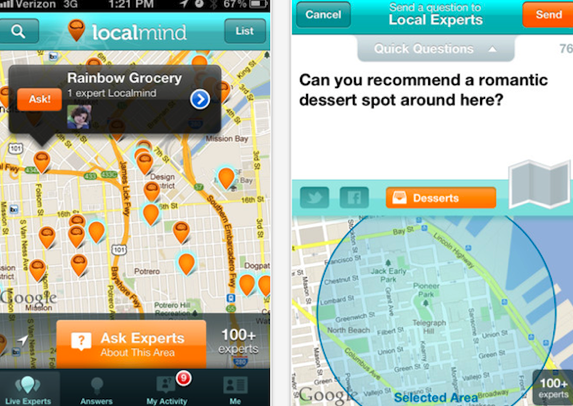 Localmind is a tool that gathers information from users about nearby events, restaurant specials, and attractions. This tool is similar to Foursquare; users can earn karma points for posting advice for others around their location. Fancy is very similar to Pinterest. This tool allows users to “fancy” products they love and file them into categories. The difference between this tool and Pinterest is that Fancy allows users to actually purchase the products right from Fancy. 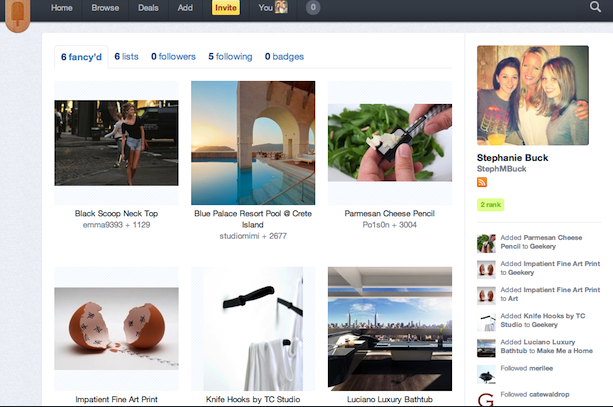 Gogobot is also similar to Pinterest but for travel content. Gogobot allows you to plan vacations by looking at other recommendations and share your own travel stories and recommendations to others. Do you use any of these social networks on the rise? Which ones are your favorites? Pros and cons? We would love to hear your recommendations!